Theoretical and Applied Mechanics, Mechanics of Materials, Computational Mechanics, Stability & Bifurcation, Sheet Metal Forming. 1) Tian, H., Potier-Ferry, M., Abed-Meraim, F.
(2018) Mechanics Research Communications, 93, pp. 154-158. Cited 3 times. 2) Kpeky, F., Abed-Meraim, F., Daya, E.M., Samah, O.-D. Modeling of hybrid vibration control for multilayer structures using solid-shell finite elements (2018) Mechanics of Advanced Materials and Structures, 25 (12), pp. 1033-1046. 3) Aouadi, M., Bettaieb, M.B., Abed-Meraim, F. Mathematical and numerical analysis in thermo-gradient-dependent theory of plasticity (2018) ZAMM Zeitschrift fur Angewandte Mathematik und Mechanik, 98 (9), pp. 1603-1622. 4) Ben Bettaieb, M., Abed-Meraim, F. Influence of the non-schmid effects on the ductility limit of polycrystalline sheet metals (2018) Materials, 11 (8), art. no. 1386. (2018) Comptes Rendus - Mecanique, 346 (8), pp. 647-664. 6) Chalal, H., Abed-Meraim, F. Quadratic solid-shell finite elements for geometrically nonlinear analysis of functionally graded material plates (2018) Materials, 11 (6), art. no. 1046, . 7) Bouktir, Y., Chalal, H., Abed-Meraim, F. Prediction of necking in thin sheet metals using an elastic–plastic model coupled with ductile damage and bifurcation criteria (2018) International Journal of Damage Mechanics, 27 (6), pp. 801-839. Cited 2 times. 8) Kpeky, F., Abed-Meraim, F., Boudaoud, H., Daya, E.M. Linear and quadratic solid–shell finite elements SHB8PSE and SHB20E for the modeling of piezoelectric sandwich structures (2018) Mechanics of Advanced Materials and Structures, 25 (7), pp. 559-578. Cited 5 times. 9) Gupta, A., Ben Bettaieb, M., Abed-Meraim, F., Kalidindi, S.R. Computationally efficient predictions of crystal plasticity based forming limit diagrams using a spectral database (2018) International Journal of Plasticity, 103, pp. 168-187. Cited 1 time. (2018) Applied Mathematics and Computation, 319, pp. 355-368. Cited 3 times. (2018) International Journal of Material Forming, pp. 1-15. Article in Press. (2018) Composite Structures, 183 (1), pp. 611-619. 13) Bettaieb, M.B., Abed-Meraim, F., Lemoine, X. (2017) International Journal of Material Forming, pp. 1-11. Article in Press. 14) Chalal, H., Abed-Meraim, F.
(2017) Metals, 7 (11), art. no. 455, . Cited 2 times. 15) Ben Bettaieb, M., Abed-Meraim, F.
16) Bettaieb, M.B., Abed-Meraim, F.
(2017) International Journal of Mechanical Sciences, 130, pp. 244-257. Cited 2 times. 17) Wang, P., Chalal, H., Abed-Meraim, F.
(2017) Composite Structures, 172, pp. 282-296. Cited 1 time. 18) Ben Bettaieb, M., Abed-Meraim, F.
(2017) Journal of Manufacturing Science and Engineering, Transactions of the ASME, 139 (6), art. no. 061008, . Cited 2 times. 19) Ben Bettaieb, M., Abed-Meraim, F.
(2017) International Journal of Mechanical Sciences, 123, pp. 177-197. Cited 4 times. 20) Akpama, H.K., Ben Bettaieb, M., Abed-Meraim, F.
(2017) International Journal of Plasticity, 91, pp. 205-237. Cited 5 times. 21) Soho, K., Lemoine, X., Abed-Meraim, F., Zahrouni, H.
(2017) International Journal of Material Forming, 10 (1), pp. 29-42. Cited 2 times. 22) Chalal, H., Abed-Meraim, F.
and Applications, COMPLAS 2017, 2017-January, pp. 174-183. 23) Chalal, H., Abed-Meraim, F.
(2017) Latin American Journal of Solids and Structures, 14 (10), pp. 1872-1892. 24) Kpeky, F., Abed-Meraim, F., Daya, E.M.
Conference on Smart Materials and Nanotechnology in Engineering, SMN 2017, 2017-January, pp. 25) Akpama, H.K., Bettaieb, M.B., Abed-Meraim, F.
(2017) Latin American Journal of Solids and Structures, 14 (10), pp. 1816-1836. 26) Wang, P., Chalal, H., Abed-Meraim, F.
(2017) Engineering Computations (Swansea, Wales), 34 (5), pp. 1413-1445. 27) Wang, P., Chalal, H., Abed-Meraim, F.
(2017) Journal of Mechanical Engineering, 63 (1), pp. 25-34. Cited 1 time. 28) Wang, P., Chalal, H., Abed-Meraim, F.
(2017) Computational Mechanics, 59 (1), pp. 161-186. Cited 6 times. 29) Akpama, H.K., Bettaieb, M.B., Abed-Meraim, F.
30) Akpama, H.K., Bettaieb, M.B., Abed-Meraim, F.
(2016) MATEC Web of Conferences, 80, art. no. 02007, . 31) Wang, P., Chalal, H., Abed-Meraim, F.
(2016) MATEC Web of Conferences, 80, art. no. 07001, . 32) Bettaieb, M.B., Lagaza, H., Abed-Meraim, F., Lemoine, X. (2016) MATEC Web of Conferences, 80, art. no. 03003, . 33) Wang, P., Chalal, H., Abed-Meraim, F.
(2016) AIP Conference Proceedings, 1769, art. no. 070007, . 34) Msolli, S., Bettaieb, M.B., Abed-Meraim, F.
(2016) AIP Conference Proceedings, 1769, art. no. 160006, . 35) Akpama, H.K., Bettaieb, M.B., Abed-Meraim, F.
(2016) Key Engineering Materials, 716, pp. 779-789. 36) Akpama, H.K., Ben Bettaieb, M., Abed-Meraim, F.
(2016) Latin American Journal of Solids and Structures, 13 (12), pp. 2231-2250. Cited 2 times. 37) Bouktir, Y., Chalal, H., Haddad, M., Abed-Meraim, F.
(2016) Materials and Design, 90, pp. 969-978. Cited 1 time. 38) Chalal, H., Abed-Meraim, F.
(2015) Mechanics of Materials, 91 (P1), art. no. 2457, pp. 152-166. Cited 7 times. 39) Kpeky, F., Boudaoud, H., Abed-Meraim, F., Daya, E.M.
(2015) Composite Structures, 133, pp. 105-116. Cited 5 times. 40) Ben Bettaieb, M., Abed-Meraim, F.
(2015) International Journal of Plasticity, 65, pp. 168-190. Cited 20 times. 41) Akpama, H.K., Ben Bettaieb, M., Abed-Meraim, F.
(2015) Key Engineering Materials, 651-653, pp. 21-26. Cited 1 time. 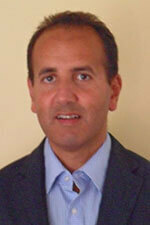 42) Abed-Meraim, F., Peerlings, R.H.J., Geers, M.G.D. and Applications, COMPLAS 2015, pp. 182-193. 43) Wang, P., Chalal, H., Abed-Meraim, F.
(2015) Key Engineering Materials, 651-653, pp. 344-349. Cited 2 times. 44) Abed-Meraim, F., Peerlings, R.H.J., Geers, M.G.D. (2014) International Journal of Applied Mechanics, 6 (6), art. no. 1450064, . Cited 1 time. 45) Abed-Meraim, F., Balan, T., Altmeyer, G.
46) Mansouri, L.Z., Chalal, H., Abed-Meraim, F.
(2014) Mechanics of Materials, 76, pp. 64-92. Cited 25 times. 47) Franz, G., Abed-Meraim, F., Berveiller, M.
(2014) Steel Research International, 85 (6), pp. 980-987. Cited 2 times. 48) Soho, K., Abed-Meraim, F., Lemoine, X., Zahrouni, H.
(2014) Key Engineering Materials, 611-612, pp. 545-552. 49) Kpeky, F., Boudaoud, H., Chalal, H., Abed-Meraim, F., Daya, E.M.
Dynamics, ECFD 2014, pp. 3650-3657. 50) Franz, G., Abed-Meraim, F., Berveiller, M.
Impact of intragranular substructure parameters on the forming limit diagrams of single-phase B.C.C. (2013) Materials, 6 (11), pp. 5217-5233. 51) Franz, G., Abed-Meraim, F., Berveiller, M.
(2013) International Journal of Plasticity, 48, pp. 1-33. Cited 36 times. 52) Pipard, J.-M., Balan, T., Abed-Meraim, F., Lemoine, X. (2013) International Journal of Solids and Structures, 50 (16-17), pp. 2691-2700. Cited 3 times. 53) Carvalho Resende, T., Bouvier, S., Abed-Meraim, F., Balan, T., Sablin, S.-S.
(2013) International Journal of Plasticity, 47, pp. 29-48. Cited 29 times. 54) Pipard, J.-M., Balan, T., Abed-Meraim, F., Lemoine, X. (2013) Key Engineering Materials, 554-557, pp. 1164-1173. 55) Abed-Meraim, F., Trinh, V.-D., Combescure, A. (2013) Computing, 95 (5), pp. 373-394. Cited 14 times. 56) Franz, G., Abed-Meraim, F., Zineb, T.B. (2013) Advanced Science Letters, 19 (1), pp. 346-350. 57) Carvalho-Resende, T., Balan, T., Bouvier, S., Abed-Meraim, F., Sablin, S.-S.
(2013) Modelling and Simulation in Materials Science and Engineering, 21 (1), . Cited 5 times. 58) Salahouelhadj, A., Abed-Meraim, F., Chalal, H., Balan, T.
(2012) Archive of Applied Mechanics, 82 (9), pp. 1269-1290. Cited 19 times. 59) Mansouri, L.Z., Chalal, H., Abed-Meraim, F., Balan, T.
(2012) Key Engineering Materials, 504-506, pp. 35-40. 60) Abed-Meraim, F., Trinh, V.-D., Combescure, A. (2012) European Journal of Computational Mechanics, 21 (1-2), pp. 52-71. Cited 3 times. 61) Chalal, H., Salahouelhadj, A., Abed-Meraim, F.
(2012) Steel Research International, SPL. ISSUE, pp. 315-318. 62) Salahouelhadj, A., Abed-Meraim, F., Chalal, H., Balan, T.
(2011) AIP Conference Proceedings, 1353, pp. 1203-1208. 63) Mansouri, L.Z., Chalal, H., Abed-Meraim, F., Balan, T.
(2011) Computational Plasticity XI - Fundamentals and Applications, COMPLAS XI, pp. 1061-1070. 64) Salahouelhadj, A., Chalal, H., Abed-Meraim, F., Balan, T.
(2011) Computational Plasticity XI - Fundamentals and Applications, COMPLAS XI, pp. 1369-1379. 65) Trinh, V.-D., Abed-Meraim, F., Combescure, A. (2011) Journal of Mechanical Science and Technology, 25 (9), pp. 2345-2364. Cited 21 times. 66) Leahu-Aluas, I., Abed-Meraim, F.
(2011) Structural Engineering and Mechanics, 38 (6), pp. 767-802. Cited 5 times. 67) Killpack, M., Abed-Meraim, F.
(2011) Journal of Mechanical Science and Technology, 25 (5), pp. 1105-1117. Cited 5 times. 68) Franz, G., Abed-Meraim, F., Zineb, T.B., Lemoine, X., Berveiller, M.
(2011) Materials Science and Engineering A, 528 (10-11), pp. 3777-3785. Cited 4 times. 69) Abed-Meraim, F., Combescure, A. (2011) Structural Engineering and Mechanics, 37 (2), pp. 253-256. Cited 2 times. 70) Racz, S.-G., Khan, S., Chalal, H., Abed-Meraim, F., Balan, T.
(2010) AIP Conference Proceedings, 1315, pp. 419-424. Cited 2 times. 71) Carvalho Resende, T., Balan, T., Abed-Meraim, F., Bouvier, S., Sablin, S.-S.
(2010) AIP Conference Proceedings, 1252, pp. 1339-1346. Cited 3 times. 72) Altmeyer, G., Abed-Meraim, F., Balan, T.
(2010) Steel Research International, 81 (9), pp. 1364-1367. 73) Abed-Meraim, F., Combescure, A. 74) Altmeyer, G., Abed-Meraim, F., Balan, T.
(2009) International Journal of Material Forming, 2 (SUPPL. 1), pp. 423-426. Cited 2 times. 75) Franz, G., Abed-Meraim, F., Ben Zineb, T., Lemoine, X., Berveiller, M.
(2009) 12th International Conference on Fracture 2009, ICF-12, 7, pp. 5004-5013. 76) Haddag, B., Abed-Meraim, F., Balan, T.
(2009) International Journal of Plasticity, 25 (10), pp. 1970-1996. Cited 74 times. 77) Franz, G., Abed-Meraim, F., Ben Zineb, T., Lemoine, X., Berveiller, M.
(2009) Materials Science and Engineering A, 517 (1-2), pp. 300-311. Cited 17 times. 78) Franz, G., Abed-Meraim, F., Zineb, T.B., Lemoine, X., Berveiller, M.
(2009) Computational Materials Science, 45 (3), pp. 768-773. Cited 15 times. 79) Franz, G., Abed-Meraim, F., Lorrain, J.-P., Ben Zineb, T., Lemoine, X., Berveiller, M.
(2009) International Journal of Plasticity, 25 (2), pp. 205-238. Cited 41 times. 80) Haddag, B., Abed-Meraim, F., Balan, T.
(2008) International Journal of Material Forming, 1 (SUPPL. 1), pp. 229-232. Cited 4 times. 81) Balan, T., Abed-Meraim, F.
(2008) 9th International Conference on Technology of Plasticity, ICTP 2008, pp. 690-695. 82) Altmeyer, G., Abed-Meraim, F., Balan, T.
(2008) Steel Research International, 79 (1), pp. 24-31. 83) Haddag, B., Abed-Meraim, F., Balan, T.
(2007) AIP Conference Proceedings, 908, pp. 227-232. 84) Franz, G., Abed-Meraim, F., Zineb, T.B., Lemoine, X., Berveiller, M.
(2007) AIP Conference Proceedings, 908, pp. 1345-1350. Cited 1 time. 85) Haddag, B., Balan, T., Abed-Meraim, F.
(2007) International Journal of Plasticity, 23 (6), pp. 951-979. Cited 56 times. 86) Franz, G., Abed-Meraim, F., Zineb, T.B., Lemoine, X., Berveiller, M.
(2007) AIP Conference Proceedings, 907, pp. 47-52. Cited 1 time. 87) Abed-Meraim, F., Combescure, A. (2007) European Journal of Computational Mechanics, 16 (8), pp. 1037-1072. Cited 2 times. 88) Abed-Meraim, F., Nguyen, Q.-S.
(2007) European Journal of Mechanics, A/Solids, 26 (3), pp. 383-393. Cited 6 times. 89) Haddag, B., Balan, T., Abed-Meraim, F.
(2005) AIP Conference Proceedings, 778 A, pp. 286-294. Cited 3 times. 90) Haddag, B., Balan, T., Abed-Meraim, F.
Technology of Plasticity, ICTP 2005, . 91) Abed-Meraim, F., Combescure, A. (2002) Computers and Structures, 80 (9-10), pp. 791-803. Cited 38 times. Astronomie, 327 (1), pp. 25-31. Cited 5 times.